A few days ago, on Saturday, actor Russell Bran d was deported from Japan, informs us US Magazine. According to what his wife, music star Katy Perry, posted of Twitter, the 35-year-old comedy actor “just got deported from Japan.” Perry continued her message saying that she is very sad that she wanted to show him her favorite places in Tokyo and spend some quality time together as a couple, but it appears that Japan authorities had other plans. “Tokyo dreams crushed.” she continued. If you’re wandering why did that happen, we are wondering too. Katy Perry’s answer wasn’t explicit. She only said that it was for some things he had done 10 years ago. The Japanese authorities wouldn’t comment on the matter, as it is a private one. “Planning escape from Japanese custody. It’s bloody hard to dig a tunnel with a chopstick” he said and added that the Stockholm syndrome is “kicking in”. He also said that he asked his guard for vegetarian sushi and the guard giggled. Stockholm syndrome refers to the psychological phenomenon in which the hostages start to develop feelings of empathy towards their captors. They appear when the hostages feel that a lack of abuse from the abductors is, in fact, an act of kindness. Nevertheless, Perry assured all their Japanese fans of their love “and the show must go on, no matter the daily aftershocks or husband kidnappings!” she continued. It must be hard for Perry to continue her tour in Asia, that she started in order to promote her latest album, Teenage Dream. “It’s not right but it’s okay” Perry said. 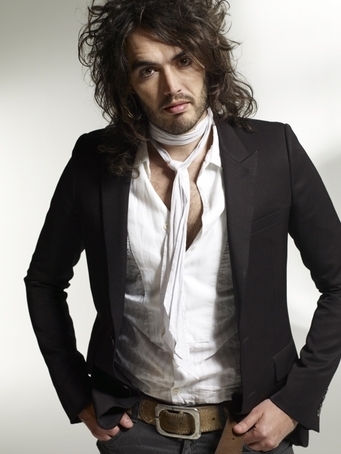 Katy Perry, 26, and Russell Brand, 35, are known to be an eccentric couple, but fewer know of their spiritual openness. They got married less than one year ago, in October 2010. The wedding took place in India, and it was done according to the Hindu ceremony.